A keen observer of women, Degas cultivated an objectivity that allowed him to catch his subjects in poses as natural and spontaneous as those in a photograph. The original oil painting Dancers in Pink hangs in the Hillstead Museum, in Farmington, CT.
SPECIAL NOTE : The painter will make the reproduction as close to the original oil painting as possible. 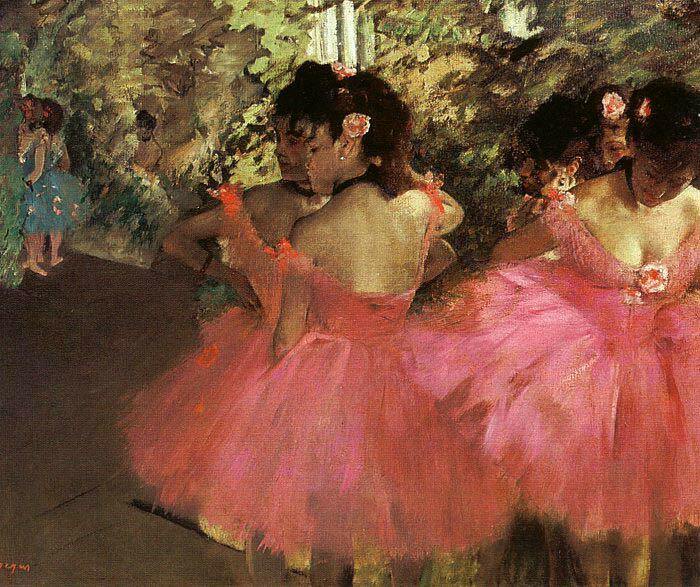 If you want your painting to alter from this likeness, please email us and " Dancers in Pink, 1880-1885 " will be reproduced according to your special requirements.